When the amazing world of soil biology (and it's direct effect on healthy, wholesome plant life) is opened up to a gardener, it is only natural to want to know more. And it turns out that the go-to book for gardeners to know more is Jeff Lowenfels's book, Teaming with Microbes: The Organic Gardener's Guide to the Soil Food Web. I got my copy of the book two days ago and finished reading it last night. I can see why it's an Amazon "Best Seller" and why it has so many good reviews. 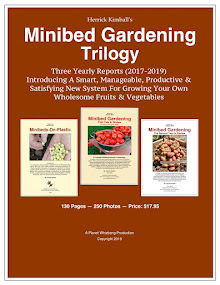 What Lowenfels has done with this book is take the technical, microbiological research and insights of Professor Elaine Ingam and distill them into a well-organized story that gardeners like me can actually understand. And that's no easy task. I should mention here that I bought my first book about soil science for gardeners when I was 19 years old. That was 40 years ago. I was fired up to learn all about soil. But the book was more about dirt science. Which is to say it lacked life (if you read my essay about Elaine Ingam you'll understand the difference between dirt and soil is the biological life, or lack of it). Needless to say, I never finished that book, and remember nothing about it (save what I've just told you). I experienced a couple other sparks of interest in the subject of soil science over the decades that followed, and attempted to better understand the subject, but met with the same lifeless, largely-incomprehensible (to me as a simple gardener) data. But all of this changed when I "met" people like Ray Archuleta, Dr. Ingam, and now, Jeff Lowenfels. It turns out that microbial life in the soil, and how that life interacts and contributes to (or detracts from) plant life is something that soil scientists just didn't know much about 40 years ago. They knew that some of the microbial life forms were there, but they didn't know much about how the microbes worked together and the roles they played. They didn't know, for example, that plants fed so many of these life forms in return for the fertility they give. Soil science is now sort of like computer science was in the 1970's; the insights and technology are rapidly increasing. Teaming With Microbes had to be revised six years after it was first published because there were new insights to be incorporated into the story. Teaming With Microbes is divided into two sections. The first section delves into The Basic Science of the soil food web. The soil food web is all the critters (micro and macro) that are alive and active in the soil. After an overview of what is going on in soil, there are chapters about the individual life forms of bacteria, archaea, fungi, algae and slime molds, protozoa, nematodes, arthropods, earthworms, and gastropods. I will admit that there were a few places in the discussion where I started to bog down in the science. But, before my eyes glazed over, Lowenfels would deftly stop the discussion and sum up the take-away from what he had just explained. 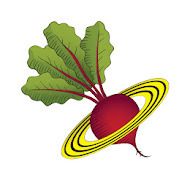 "The ring that trapped the nematode is actually just a hyphal branch, twisted back on itself. These branches each consist of only three cells, which, when touched, produce a signal to let water in; the cells then swell to three times their size and the unsuspecting victim is killed in a tenth of a second. ... Not only does the fungus figure out a way to kill nematodes, which are all blind, but it attracts them to its trap in the first instance. 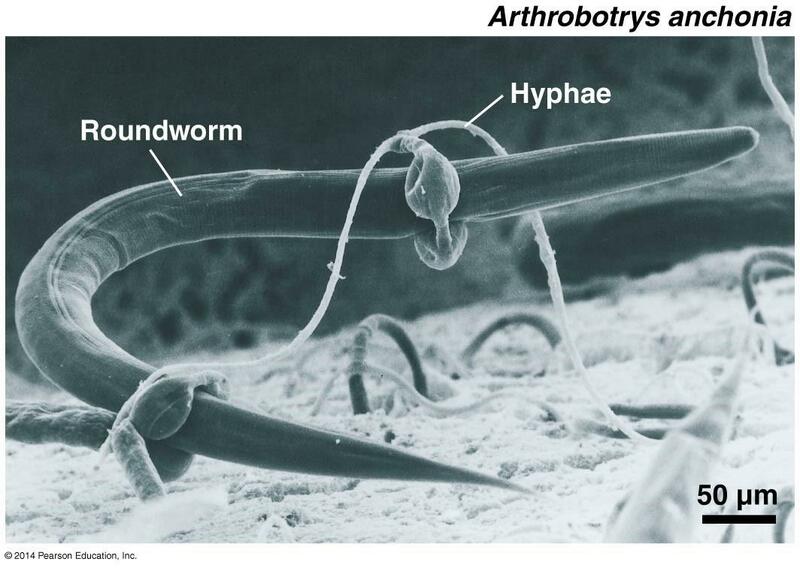 In this case, the fungus releases a chemical that attracts the worm." "Within a matter of only a few minutes after trapping, the tip of the fungal hypha enters the nematode's body, secretes its powerful enzymes, and starts absorbing nutrients. As this is exactly what the nematode has been doing—eating—the worm is usually a real treasure trove of nutrients for the fungus. These nutrients, of course, are then locked up inside the fungus until the fungus is eaten by one of its predators or it trades them for [plant] exudates." The second part of Teaming With Microbes is all about Applying Soil Food Web Science to Yard and Garden Care. This section of the book mostly focuses on properly made compost, compost teas, and mulch. There is nothing new about compost, compost tea, and mulch. These biological methods for growing wholesome food without using synthetic fertilizers have been applied by organic gardeners for decades. 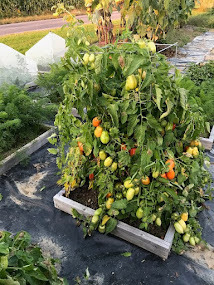 However, when soil biology is better understood, the approach to making and applying compost, compost tea, and mulches may differ from the usual. There are now more-intelligent ways of using these methods, and Lowenfels discusses them. In closing, I can tell you that I'm well-pleased with this book and what I've learned from it. The basic understandings about soil life and how healthy soil life translates into healthy plant life are easy to grasp. The book then offers deeper insights, but not so deep that I get lost. I feel like I could now teach a grandchild about basic soil and plant biology.. and it would not be boring! 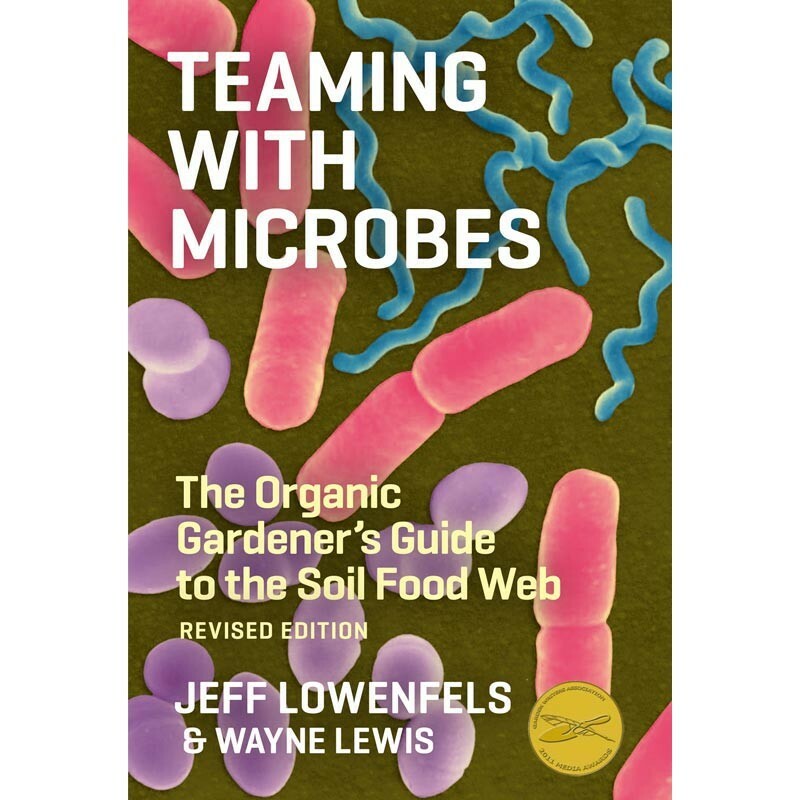 Teaming With Microbes will now be a valued reference book in my library of gardening books. Hi Herrick, Just ordered mine from Amazon! Can't wait to read all about those little beasties crawling around down there in the dirt! Back again, Forgot where I was on this thing and forgot to say what I intended before reading about the book. Anyway, I was putting one of the precepts of the mini beds on plastic, to use today. That is the part where I take my fork and push it in full depth, push it forward then backward to break up the soil. Takes me three passes with my 8" wide digging fork. Got about 10 of them done and then an epiphany struck and I said to my self, "self, go up and get that nine tine, Johnny's all purpose, broad fork and see if it will work." Well unbelievably, the thing fits perfectly with about and inch to spare on both sides, Just misses the plastic. Now I can do one bed with just one pass and only a third of the time it was taking! So only 36 more to go and I'll be ready to start sticking things in the ground! Need a snowblower to get all that stuff off your garden? LOL Just watching the news and we are supposed to get another 6-8" Sunday sometime. Supposed to go off Island to see a doc Monday morning. Should prove to be an interesting boat ride! It's good to know about the Johnny's broadfork. I hope the weatherman is wrong, and you have "smooth sailing" on Monday.